By taking your portraits outdoors you can create some really dramatic images. Shooting outside can give your portraits a more relaxed feel, helping to create beautiful on location images. In this issue we look at how to shoot outdoor portraits and get the best possible results every time. Also in this issue, learn exactly how to clean your camera and lenses like a pro. You'll discover the best way to sharpen portraits in a great Photoshop video tutorial. We also being you an in-depth interview with inspirational landscape photographer, Brian Adelberg. And don't miss the lowdown on the Sony FE 400 mm f/2.8 OG OSS Lens, where we discuss whether this lens combined with the Sony A9 could be the ultimate combo for sports photographers! 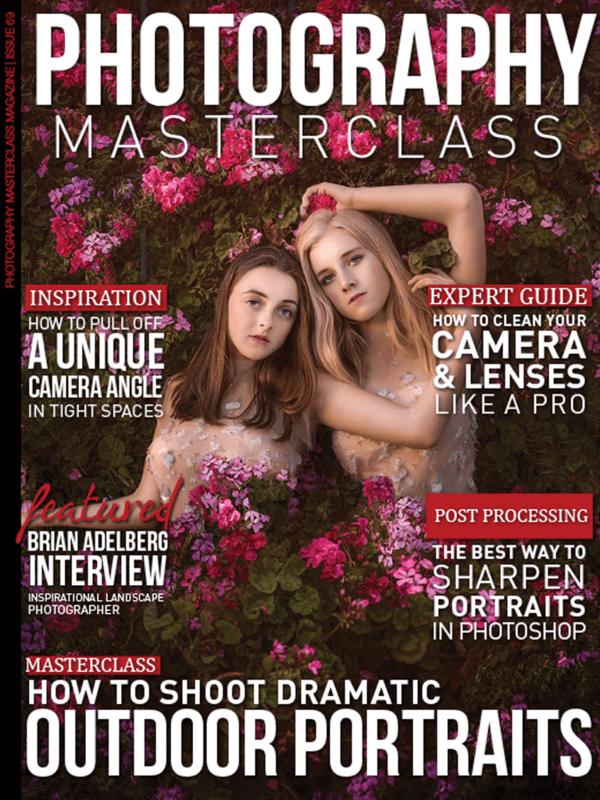 Not Yet A Photography Masterclass Subscriber?